They can be removed by hand. Or… they can even be sprayed off with a strong jet of water from your garden hose. Additionally… Leaves and branches that are affected by these pests can be cut off. This too helps control these insects. But… If you’re looking for an easier way to physically protect plants…then consider floating rows. They also offer your vegetables protection against frost and birds as well. They’re a great way to barricade your crops. However, almost every grade of floating rows traps heat. Thus, you may have to remove them at intervals during the course of the day to release the heat. But the extra-light grade (also known as the summer-weight grade) of the floating row is an exception. Because the summer months are hot and humid…this grade is made of thinner fabrics that do not trap heat. 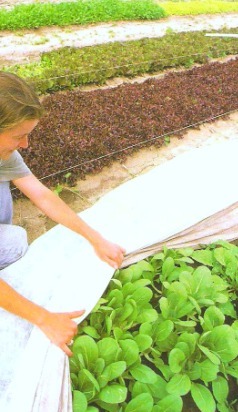 It’s designed to shield vegetables from insect pests only. All other grades trap heat. Thus, they’re more suitable for the frost conditions of colder months. So I guess you can switch between the different grades of floating rows as seasons change. 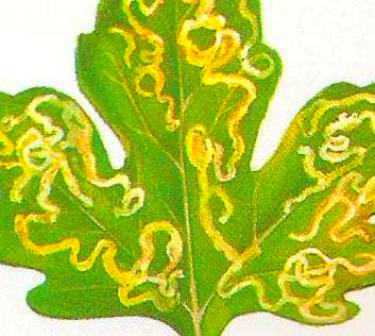 Biological control of pest is all about the food chain. Think about it. Insect pests feed upon your vegetables, right? Well…what feeds upon these pests? 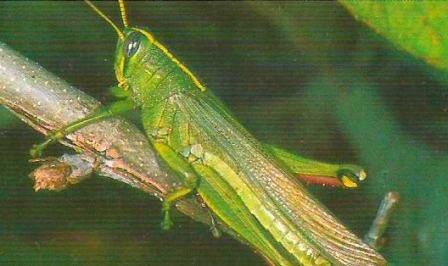 The answer is…other insect that are higher up on the food chain. You see…not all insects are pest. In fact some insects should be encouraged to develop habitats in your garden. That’s because they’re beneficial. 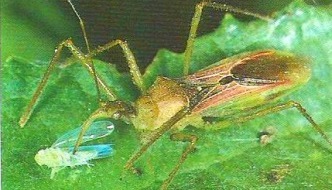 First we have the Assassin Bug. This bug is rather fond of almost all the insect pests you can think off. 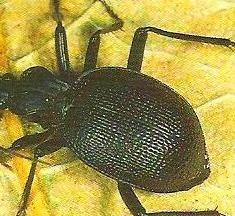 They can be easily recognized by their red, black, brown or gray exoskeleton. 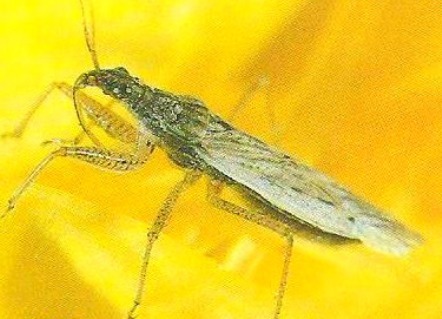 Secondly, there’s the Damsel Bug. Thirdly there’s the Ground Beatle. Finally we have the Trichogramma Wasp. 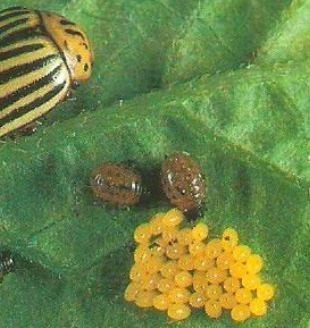 And they mainly attack the eggs of caterpillar pest. Introducing these predators into your garden is a great way of insects control. And you’ll be surprise how readily available these insects are. Just check your local garden store. You’ll most likely see them for sale, or you can get more info on obtaining them. Another method of obtaining these predators is to attract them into your garden. This is done growing flowering plants. The nectar from these flowers is also a food source for beneficial insects at one stage or the other in their life cycle. 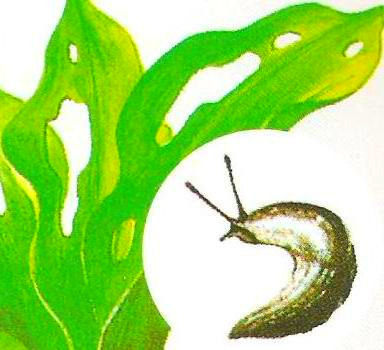 I had to give it a long hard thought before writing this section on natural pesticides.The reason being… is the fact that natural pesticides are not highly recommended, especially in organic gardens. You see…some gardeners see natural pesticides as being less harmful than chemical pesticides. Thus making them a great alternative. These pesticides are still harmful nonetheless. They are in fact insecticides. Therefore they kill not only pests but the beneficial insects that we talked about earlier…but also the worms and micro-organisms in the soil. So I guess when it comes to natural pests the choice is yours. But I am going to recommend to you 3 types that have more pros than cons when being used. These are one of the ‘safest’ natural pesticides. And work well on small pests. Once it’s sprayed on the insect it causes dehydration. The insect then die as a result. It’s that easy. The best time to apply the spray to the crops is in early spring. That’s because the soap works best against over-wintering insects. This is a natural pesticide derived from flowers. And guess what?It’s been around since ancient times. Since way back men have discovered how effective pyrethrum is against many of the insect pest (especially the caterpillar). However, today it is difficult to come across pure pyrethrum. Most of the stuff that’s being passed off as pyrethrum has been mixed and processed with other chemicals and synthetic pesticides. 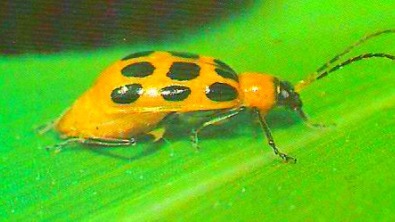 Another disadvantage is that it kills the beneficial insects as well. Quassia insecticide is made from a tree bark. And it kills mainly aphids. 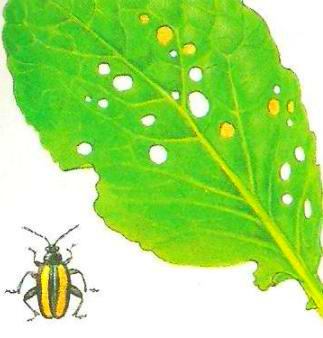 And what makes it even greater is that it causes minimal damage to beneficial insects. Like pyrethrum, it’s difficult to find the stuff in its pure form. It’s been either processed or mixed with other inorganic substances. 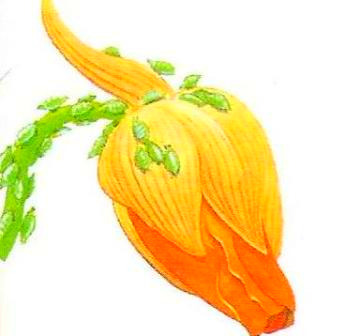 If quassia is applied to crops just before harvest…there is the chance that some of this insecticide can be passed to us when the vegetables are eaten. The first two method of controlling insects are highly recommended. The use of floating rows plus encouraging the beneficial insect predators are great examples. However the use of natural pesticides is still a heavily debated practice. But if you’re truly into organic gardening why not click her for more on organic garden pest control. There you’ll find other great insect control methods that don’t require the use of pesticides.